I finished the leveling journey on my first character in World of Warcraft’s Warlords of Draenor expansion almost two weeks ago already. Since that time my playtime in WoW has mostly involved a bewildering array of Garrison Campaign quests and getting started on the Tanaan zone that was added in the last patch. It’s enjoyable enough content, for example I’ve written previously about growing rather attached to my assortment of followers. The more epic quest chains like the Garrison campaign and the legendary ring quest chain are some of the better content in the expansion I think – I like the idea of building up to a reward gradually in stages. 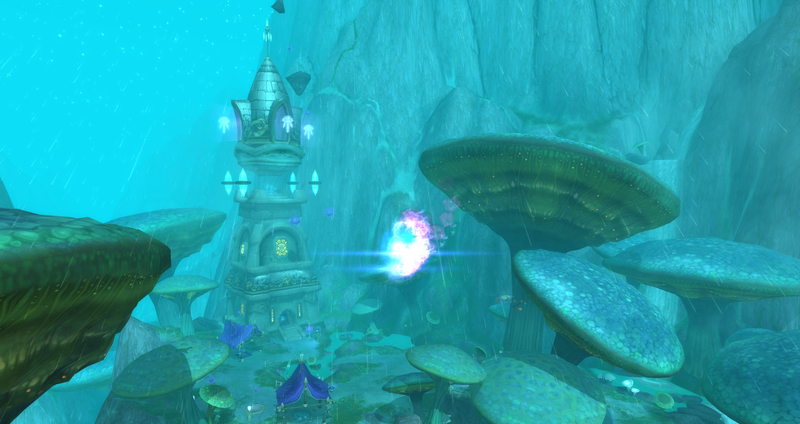 However a lot of the Garrison is busy work, it’s very “needy MMO” territory. There are the mine and herb garden to process, lots of clicking without the interactivity and deliberate choice the Halfhill garden in Mists of Pandaria had. Moreover it feels odd to have such a rich source of crafting resources so easily in every garrison. 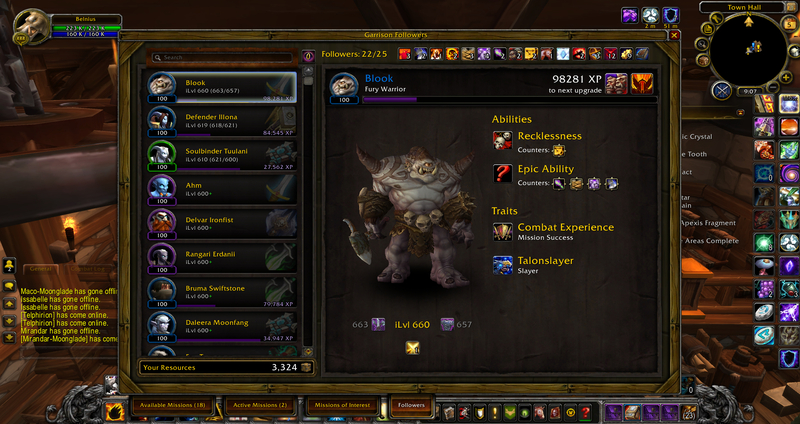 I haven’t yet started a second character on the Draenor expansion but I have two very close to level 90. The one, my Balance druid, is a herbalist/alchemist yet he’ll barely need to step out of his garrison to level his alchemy since I’ll have two or three herb gardens churning out insane amounts of herbs on demand. The layered gear grinds for your own character and for your followers is also ok for the first character but will quickly get out of hand as I level alts. This isn’t unique to WoW, I never really bothered with gearing all my companions for my main character in SWTOR let alone multiple companions on alts – that at least is something Bioware is addressing in the upcoming expansion. As I look towards playing Wildstar again for a while I’m left thinking about whether I’ll continue to log my Exile engineer to farm herbs in his housing. We’ll probably be playing Dominion-side mostly, at least initially, so there’ll be no benefit from keeping the herbs growing to make some health or buff potions for the new characters. But once I’m in-game it reminds me that that garden remains untended. Are MMORPGs becoming less alt-friendly or is it just me? 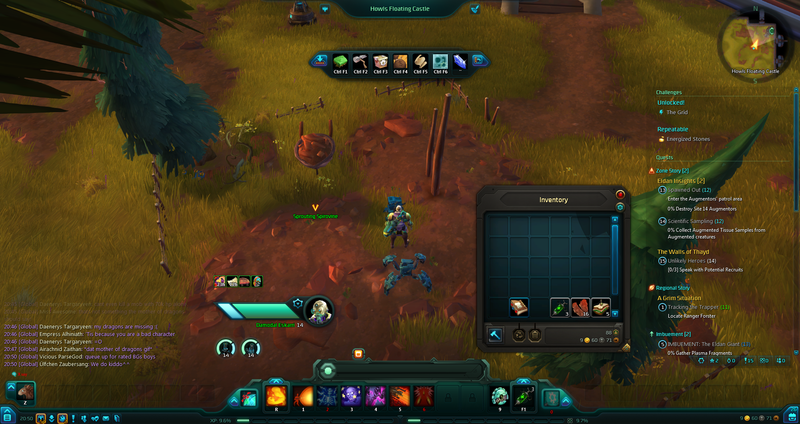 This entry was posted in MMORPG, SWTOR, Wildstar, World of Warcraft. Bookmark the permalink. In some respects, I’d say the gearing of alts is a little too easy in WoD. Several alts have been sitting in their garrisons getting a box of raid gear (though fairly low tier) every week – which is very low effort for a raid piece. Though that said – I suppose it’s just a bit of a catch up mechanism like the baleful tokens of Tanaan; and you wouldn’t believe the regularity you get the same item as you’ve had before! Some things they’ve done in wow for the garrisons is quite nicely alt friendly: Once you unlock tier 3 buildings, they’re unlocked across your account, ditto for ship equipment; but there are things that I think they should have done to reduce the grind – I think missions and followers should have been at the account level, so you only had to log on one character rather than all your alts to set it off. 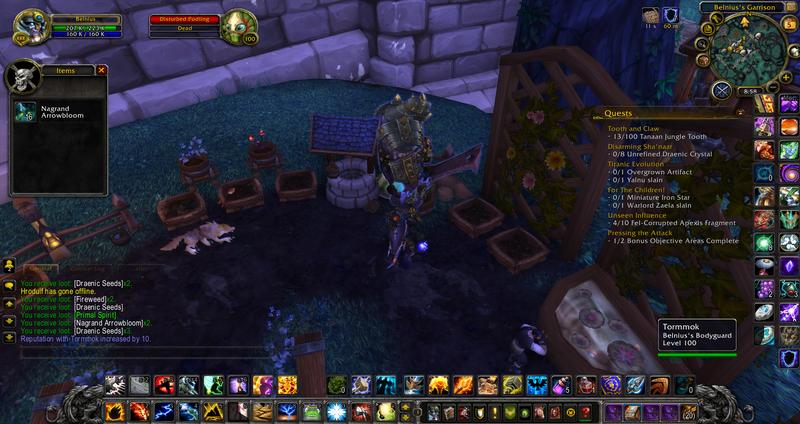 Herb garden and Mine should only be gathered once (and then be empty on the alts that day). Thinking about it, maybe all your characters should share the same garrison? Maybe that would mean a bit too much restriction on profession buildings, but then a lot of them you don’t really need and it could lead to a more interesting decision as to which ones to take. Of course, if they reduced the amount of grind in the garrison then they would have had to have given us content outside the garrison for us to do (which of course they SHOULD have given us anyway). Well garrisons are going next xpac and we’ll see how class halls turn out. I just really hope that we have less grind and more interesting and fun reasons to log on to the game. Traditionally alt-unfriendliness expressed itself in the game making it hard to get your alts to the same level as your main, but I think with the increasing push towards accessbility we’ve come full circle to the point where alts have all the same things to do as your main, which is a problem in itself. What’s the point of having an alt if it just results in exact repetition of what you’ve already done on your main? We generally created alts in our small guild not just for replaying content but to build different trinity teams for 5-person content. So I never had much expectation that alts would catchup with my main in gear or other progression. As you say though the idea that alts should be able to be caught up is rather dangerous as the garrison grind is alt unfriendly. Although, as Meznir pointed out, there are account level unlocks for some grinds (because achievements are account level); I still feel that garrison play isn’t varied enough to be good for alts. Maybe if there’d been fewer slots and no defaults like the mine or herb garden it could have been more of a boon to have alts since you’d spread the buildings between them.